In October 2013, HSE ceased to monitor or approve First Aid at Work training providers in England, Wales and Scotland. Instead, companies are advised to carry out due diligence on any training provider that they might use, and HSE have published a list of questions that you should be asking of the provider. We have the questions here, along with answers. Follow the link here. First aid courses which are recognised by Mountain Training UK (MTUK), British Orienteering Federation (BOF), Royal Yachting Association (RYA), British Canoe Union (BCU) and many other National Sporting Governing Bodies. The Rescue Emergency Care scheme was originally devised by Dr Bob Phillips and Prof G Page for the Scottish Ski Patrols. It was felt that other more traditional National First Aid Associations did not make provision for those individuals operating in more remote areas. Rescue Emergency Care (REC) courses were therefore designed to cover not only the first aid needs required to meet the Health and Safety Executive (HSE) guidelines, but also first aid for those people working or playing in more remote areas. First aid for times when medical help is often hours instead of minutes away, and environmental issues such as the weather and working in difficult and remote terrains must be considered. "How refreshing to have a trainer who is herself a first aider with first hand experience"
"Katherine’s teaching and clarity of delivery is second to none. " 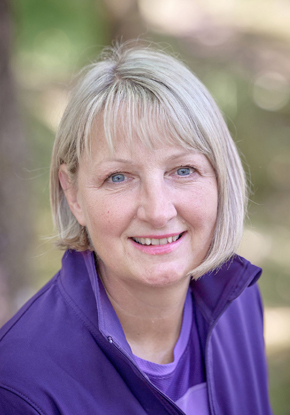 Active First Aid courses are delivered by Katherine Wills, a qualified specialist physical education teacher with over 35 years of hands on first aid experience. Having lived in Snowdonia since the mid 1980’s she is passionate about mountaineering and in 2000 became a member of the Llanberis Mountain Rescue team. Since then has attended over 350 rescue incidents and for a number of years was the Chair of the Medical Sub Committee taking responsibility for maintaining and progressing the team’s first aid training and equipment. Katherine is also the author of 'Outdoor First Aid' the only first aid book to deal specifically with the challenges facing the basic first aider within in the UK mountain environment. More recently Katherine has undertaken several Dog First Aid courses and in 2014 qualified as a Canine First Responder Instructor. She has adapted the basic dog first aid skills and now delivers Canine First Aid which is ideal for those who take their dogs into remote environments.